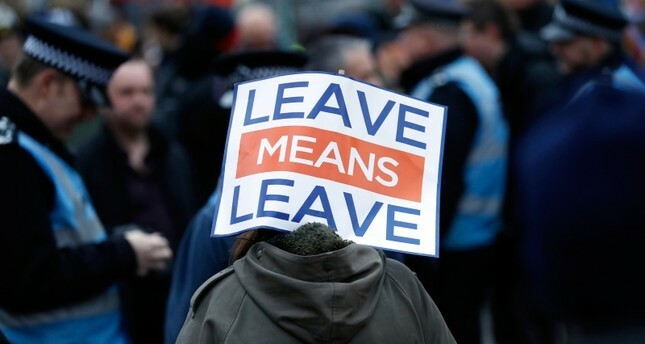 Nearly a third of U.K. firms may shift their operations abroad because of Britain's pending departure from the European Union, a survey of 1,200 company directors suggested Friday, as the political stalemate over a Brexit deal heightened jitters among businesses. The survey by the Institute of Directors, an employers' group, found that 16 percent of businesses already had relocation plans while a further 13 percent were "actively considering" a move. A delay would need the approval of the 27 remaining EU states. Ireland's Europe Minister, Helen McEntee, said the bloc would likely agree, as long as Britain had a good reason. "There is no point in looking for an extension if we end up back to the same place in three months' time," she said. "We need to have a clear direction from the U.K. government as to what it is we want to achieve." May has been sounding EU leaders out on potential changes, but Britain's stance has caused exasperation among EU politicians, who point out that May signed up to the deal that she is now seeking to change. May's Downing St. office said it was "completely unacceptable" to describe Gibraltar as a colony, calling it "a full part of the U.K. family."